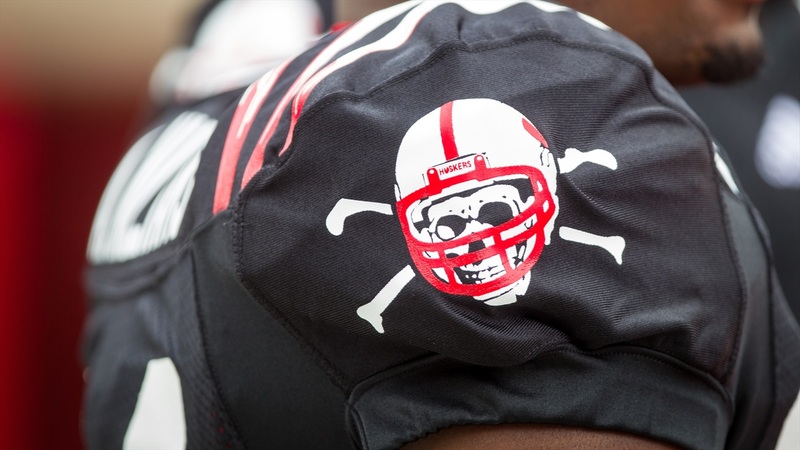 Nebraska’s defense deserves the Blackshirts. Yes, we’re talking about the same defense that gave up the game-winning touchdown to wideout Laviska Shenault Jr. on Colorado’s final offensive possession Saturday. But don’t forget, Colorado quarterback Steven Montez delivered a dime of a throw to Shenault and Shenault made a heck of a catch. One play, however large in scope it was, doesn’t wipe out an entire day of Nebraska’s defense looking like it did. Because at times on Saturday, Nebraska’s defense looked like a Nebraska defense should. “[The] defense, at times, looked like the Blackshirts,” head coach Scott Frost said after the game. All week long, the entire defense practiced in yellow-and-black jerseys. The Killer Bees, they were called. Defensive coordinator Erik Chinander brought that back to serve as extra motivation for the defense to earn its keep. Looked like they didn’t want to spend another second in them. The Huskers gave up just 44 yards rushing all game, the fewest in a game since Nov. 19, 2016. They sacked Montez half as many times in one game (seven) as they did in all 12 games last season (14). Defensive tackle Mick Stoltenberg had both numbers immediately ready to go during his postgame press conference. Don’t think for a second the Huskers didn’t take some pride in that. They logged 12 tackles for loss and five more quarterback hurries. They absolutely bullied Colorado in the trenches and out-hit the Buffs at every level. Williams might be one of the best interviews on the team. He's just real with you. After Montez threw for 351 yards and three touchdowns, Williams called him an average quarterback. Some might mislabel that as arrogance but it’s really something else. It’s confidence. It’s not giving a damn about what your opponent might think. It’s believing without a doubt in your mind you’re better. When was the last time the Nebraska defense acted like that? On a Sunday afternoon re-watch, defensive plays jumped out everywhere. I set out to make a list of highlight-worthy defensive plays, plays that might showcase the shifting culture within Chinander’s room, or just plays that wouldn’t have happened last season. That list went almost 20 deep. About a quarter of Colorado’s plays. Nebraska's Defense vs. Colorado - Sept. 8, 2018 from Derek Peterson on Vimeo. Linebacker Mohamed Barry showed up everywhere; he finished with a career-high 12 tackles, a quarterback hurry and a tackle for loss. In fact, four Husker defenders finished with career-highs in tackles: Barry, linebacker Luke Gifford (11), linebacker Tyrin Ferguson (10) and defensive lineman Khalil Davis (six). Chinander wants “11 savages to the football” on every play. Nebraska’s defense was swarming to the ball all afternoon long, getting hats to the ball and gang-tackling ball-carriers through the whistle. Chinander also wants players to shoot their shot with “no fear of failure.” In the second quarter, safety Aaron Williams went flying towards a Colorado ball-carrier like he had been shot out of a cannon. He missed but had multiple teammates behind him to clean it up. That play wasn’t happening last season. Last season Nebraska was reacting. On Saturday, Nebraska was attacking. “I don’t think last year if we’re down 14-0 like that we’d end up doing what we did. We answered in a different way than we ever have when I’ve been here,” Gifford said. “We’re extremely confident on defense. We know what kind of team we can be. It was. Everyone could see it. Former Blackshirt Jason Peter tweeted after the game about telling the defensive line how proud he was of them and how encouraged he was to see them flat-out dominate Colorado for stretches of the afternoon. Following the Buffs’ first two touchdown drives, Nebraska forced three-and-outs on four consecutive possessions; the Buffs lost 13 yards over those 12 plays. Chinander was waiting to give out the Blackshirts until Nebraska took the field and wiped away the sour taste of last season’s close. Some might not like the carrot-on-the-stick approach, but personally, that felt like the right way to go. On Nov. 24, 2017, that defense didn't look like it ever should at Nebraska. And yes, there should still be some yellow jerseys running around inside the Hawks Championship Center this week. Several starters had rough outings — safety Antonio Reed’s late-game penalty is hard to overlook and there’s a corner that still hasn’t figured out how to consistently tackle — and there were breakdowns in communication that need to be cleaned up. But, things already look better than they did at any point a year ago. Barry deserves a Blackshirt. So does Gifford. So does Ferguson. So does Stoltenberg. So does Davis. So does Ben Stille. So does Freedom Akinmoladun. So does Dedrick Young II. So does Deontai Williams. So does Tre Neal. So does Aaron Williams.